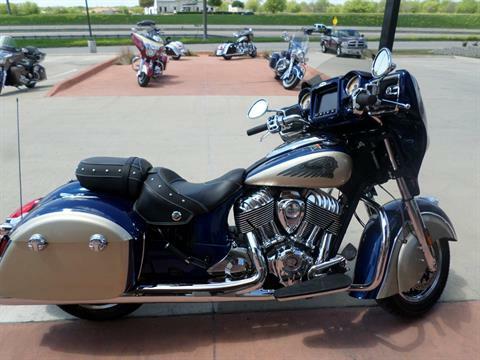 The Chieftain Classic combines iconic Indian design, premium riding amenities, and unmatched performance. It’s a classically styled bagger that makes a statement. A RIDE THAT STANDS THE TEST OF TIME: The classically styled Chieftain Classic delivers an unforgettable look and ride, pairing the impressive power of the Thunder Stroke® 111 V-twin engine with exceptional handling. 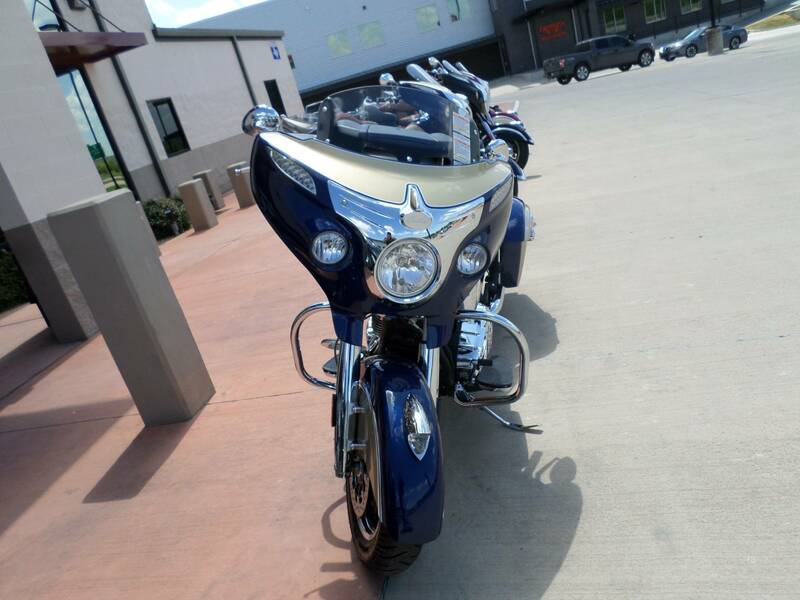 CLASSIC FAIRING DESIGN: The fairing design was inspired by the sleek and powerful streamliner locomotives of the 1950s. PREMIUM CHROME FINISHES: Chrome engine, chrome exhaust, chrome highway bars and a chrome headdress on the front fender. 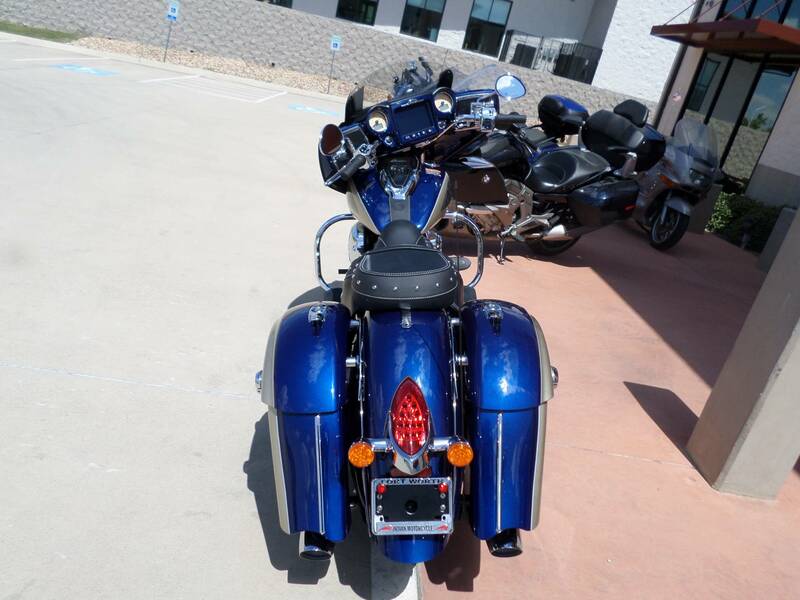 VALANCED FRONT FENDER WITH 16 IN. 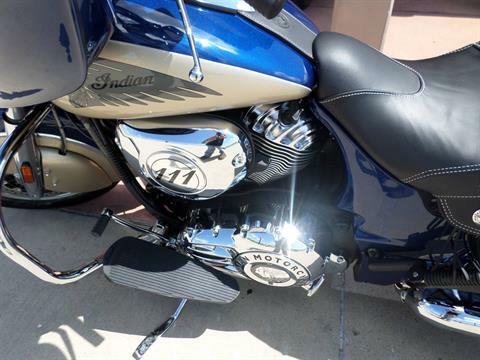 WHEEL: The Chieftain Classic features the iconic valanced front fender and 16 in. wheel. 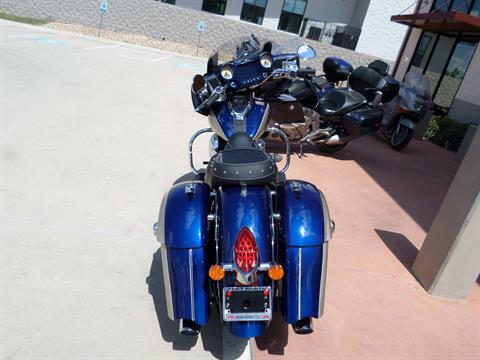 THUNDER STROKE 111 V-TWIN ENGINE: The powerful Thunder Stroke 111 engine produces 119 ft. lb. 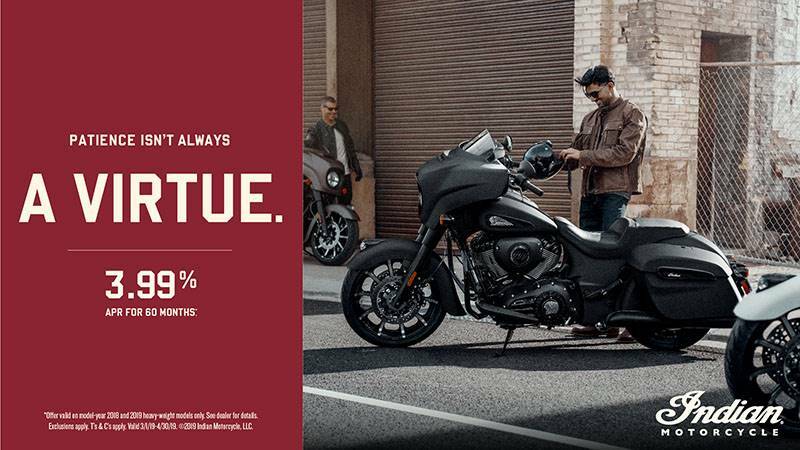 of torque for exceptional power at low RPM and a smooth ride at any speed. AGILE HANDLING AND CONTROL: Combines outstanding steering geometry and a lightweight cast aluminum frame to provide responsive handling and agile cornering. 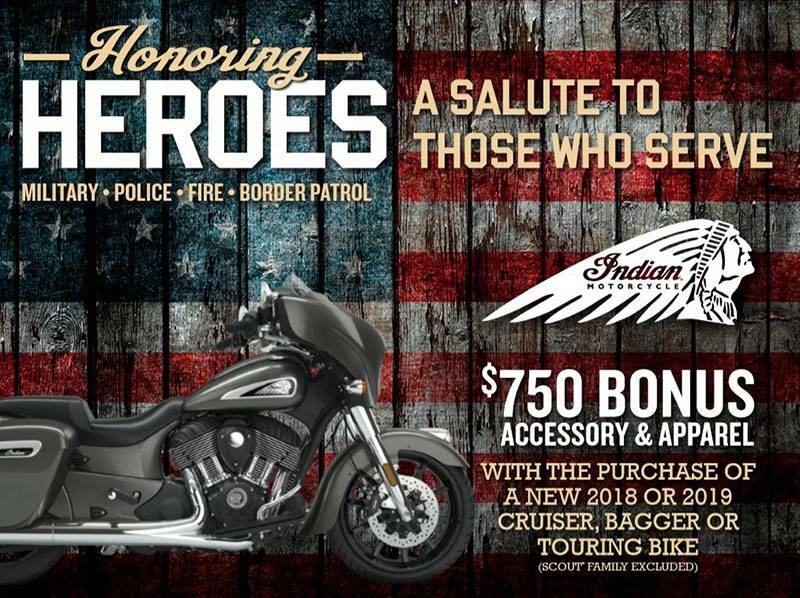 INDIAN MOTORCYCLE® RIDE COMMAND®: It's the largest, fastest, most customizable system on two wheels, featuring turn-by-turn navigation, Bluetooth® connectivity, vehicle information and much more. PREMIUM AUDIO: High-output speakers in the fairing deliver 100-watts of crystal-clear audio. Featuring a dynamic equalizer that automatically adjusts for road, wind and engine noise. 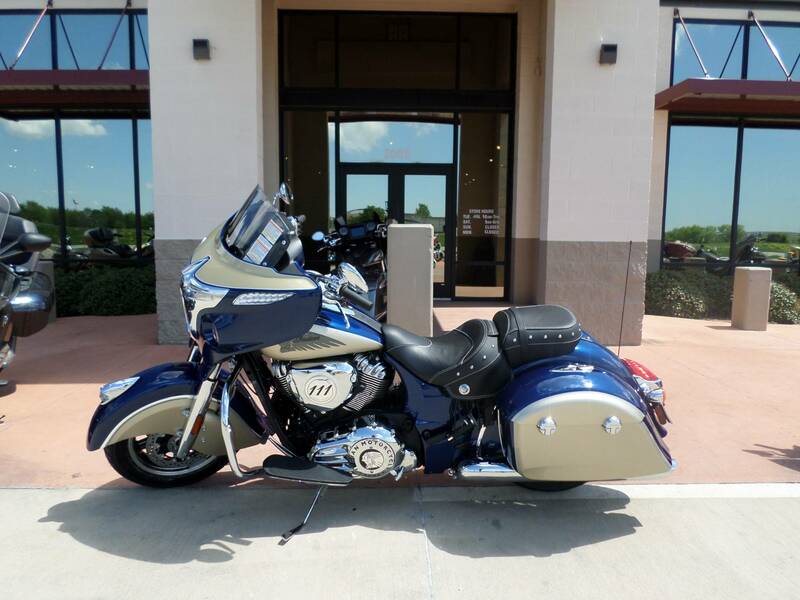 MODERN AMENITIES: The Chieftain Classic comes standard with keyless ignition, cruise control, ABS and tire pressure monitoring. POWER WINDSHIELD: A push-button power windshield allows you to easily change the height. Keep it low for wind in your face or raise it up to cruise in comfort. RIDE MODES: Now you can choose between three ride modes, Tour, Standard and Sport, for an experience that's customized to your riding style. 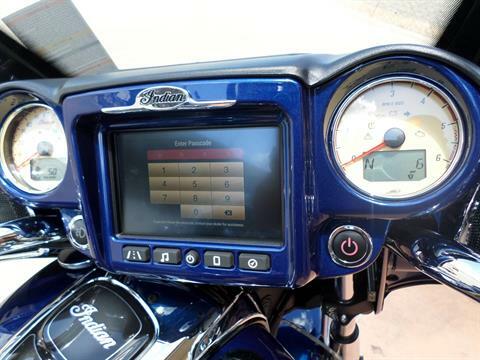 BLUETOOTH® CONNECTIVITY: Wirelessly connect your phone to the bike's display with Bluetooth® to enjoy your favorite music on the open road. You can also pair a headset and receive calls and texts. Front - Cast 19 x 3.5 in. Rear - Cast 16 x 5 in.